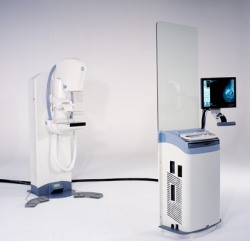 Like all x-rays, mammograms use doses of ionizing radiation to create an image. Radiologists then analyze the image for any abnormal growths. 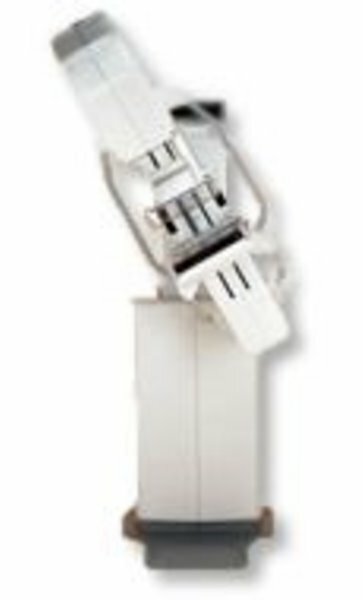 Despite continuous improvements and innovations, mammography has garnered a sizable opposition in the medical community because of an error rate that is still high, and the amount of harmful radiation used in the procedure. 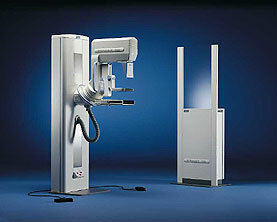 It is normal to use longer wavelength X-rays (typically Mo-K) than those used for radiography of bones. 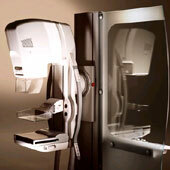 At this time, mammography is still the modality of choice for screening for early breast cancer. 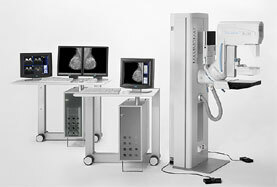 It is the gold-standard which other imaging tests are compared with. CT has no real role in diagnosing breast cancer at the present. 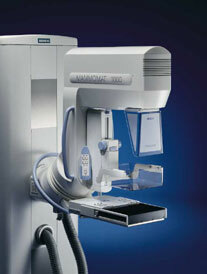 Ultrasound, Ductography, and Magnetic Resonance are adjuncts to mammography. Ultrasound is typically used for further evaluation of masses found on mammography or palpable masses not seen on mammograms. MRI can be useful for further evaluation of questionable findings, or sometimes for pre-surgical evaluation to look for additional lesions. 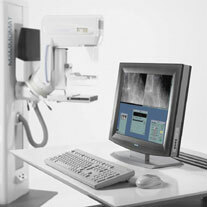 Digital Mammography . 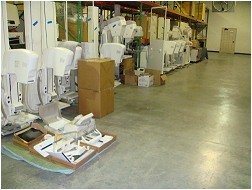 . .
Mammography Equipment . . .